Even though we know how important is recycling, the recycling industry is not growing rapidly. The big question mark calls for why is this happening? Here let us study the reason why people are reluctant to recycle things. We shall also look into the factors that help to promote and encourage recycling. 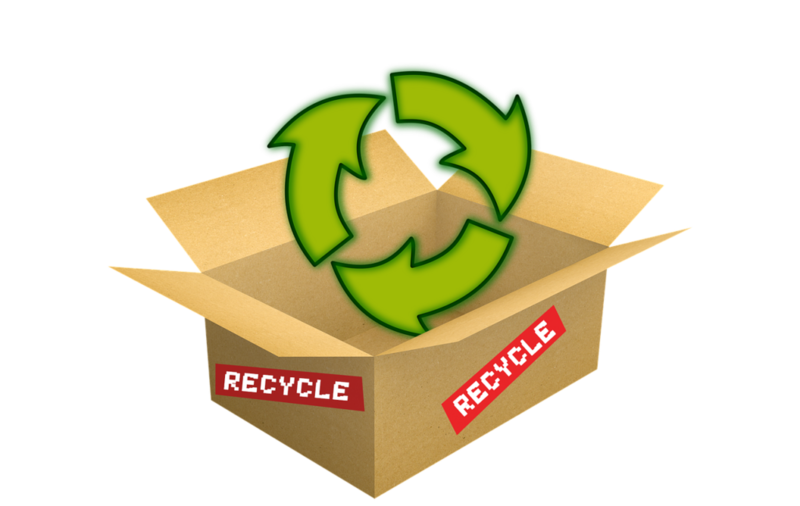 The significance of recycling is gaining more and more importance in today’s world. The art and science of recycling is also developing quickly. Paper rubber glass cloth plastics, electronic goods can be recycled. Waste water, solid food wastes, garden waste can be recycled too. But in spite of all the awareness and education the full potential of recycling is not reached yearly. Studies show that the current rate of recyclable goods collected does not cross the 50% mark for any object which means that all that is not recycled get collected in landfills or find their way into the land or sea polluting both severely. We know why and how recycling is done. Then why don’t we do it? Here are a few reasons why people don’t recycle. Inconvenience: When there is no regulated curb side recycling program, it becomes inconvenient to pack your waste and carry it to a far off place to have it recycled. It takes additional effort and time. Storage: when living spaces are small accumulated garbage occupies increasing amounts of space until it is disposed off correctly. Confusion: sometimes there is uncertainty about the rules of waste segregation for e.g. the kind of plastic or cardboard that is accepted by the recycling programs. Waste of time and money: To some people recycling appears to have no economic gain personally or for the city, especially when there is expenditure of time effort and money in the form of taxes. When there is no personal benefit there is reluctance to recycle. No Incentive: lack of incentive from local recycling programs in some states can act as a deterrent to recycling. Not everyone feels guilty or responsible about the environment. The presence of regulations, enforcement of laws and use of incentive schemes is very important. The introduction of packaging taxes and economic incentives for reducing waste and encouraging recycling is more helpful than just public awareness and organised recycling programs alone. For successful sustainable recycling process the government must allocate funds in their budget towards solid waste management. If this is not done recycling programs are bound to fail. In China, the government in 1998 allocated $7.4 billion to facilitate environmentally sound waste treatment facilities to combat pollution in their country and has followed it up since then. In Jamaica a percentage of funds from tax on imported plastics are directed to solid waste management since 2004. Collecting mixed waste may be cheaper than curb side collection of recyclable materials, but it turns out that maintaining and operating a landfill space, not to mention the environmental cost incurred is much more expensive than the smaller additional amount paid to recycle the materials. It is important to correctly assess the viability or sustainability of waste management procedures that are planned for a community, town, city or country. Data collection on generation and composition of waste and its recovery will help determine proper management solutions. This is a very important factor influencing material recovery. The methods vary from place to place. Municipalities or private contractors facilitate waste collection and segregation. In developing countries the waste is segregated informally by scavengers too. As waste is accumulated in dumpsites near residential areas, a more technological approach must adopted in this sector, for efficient waste collection will be seen as an incentive because all waste is eventually directed to a processing facility. Such a facility must be capable of separating organic form inorganic materials, recyclables from inert materials, cleansing recyclables and then processing recyclables into raw material for sale. If such a technologically advance d facility is not available it is better to have source segregation in place. According to the United Nations Environment Programme- In absence of segregation of waste at source, waste treatment alternatives such as recycling, waste to energy projects and or composting become uneconomical to operate. Proper segregation would lead to better opportunities for scientific disposal of waste. If there is clear access to curb side recycling programs, there is nearly 50 % participation as opposed to 25% participation in programs that require people to collect and drop off their waste at a community recycling center. One is more likely to recycle waste when fully understanding the proper way and the reasons to do it as opposed to simply desiring to recycle. Governmental Public awareness and education campaigns, projects by non-governmental organisation are utilised to educate the people. Schools and youth organisations must strive to involve the youth in recycling efforts. Social media which is a favoured media for the young today is a good tool to reach them. Individual’s income influence waste handling behaviour as does the presence of waste collection or disposal fees. For a low income group every material commonly seen as a waste may be valuable. For some increasing incomes can act as an incentive to recycling due to changing consumer patterns that use higher percentage of recyclables. Recycling Paper and metal cans have been successful because of the payback received when they are handed to the recyclers. Having such cash back incentives for other materials will prompt people to recycle more. Factors such as shopping behaviours, age, gender, family size and income are predictors of recycling behaviour. A municipality can adopt different ways to manage solid wastes other than sending it to a landfill. Sustainable methods are incineration with energy production, composting of organic wastes and material recovery through recycling. Any solid waste management strategy must be long term, comprehensive and integrated. The effectiveness of management of waste by private or public parties is important for the consumer to feel that recycling is a valuable option. If there is an evident lack of collaboration among various agents collecting, treating, disposing, financing and regulating wastes, this acts as a barrier to recycling initiatives. This can be due to unstable political institutions or unreliable finances and even lack of trained staff and skilled professionals. This kind of market is more seen in developing countries and can involve middlemen, small businesses and large industries or exporters. They are involved in the procurement, sale and export of recycled material. If this market is sufficiently well developed it will be very profitable for the country’s economy as a whole. For e.g. in Thailand it is estimated that 4.5 million tonnes of recyclables has a market value of $390 million. In Iran paper and cardboard recycling alone would bring an income of $44 million per year. Not everyone recycles with an environmental point of view. It is also the economic advantages that attract many to recycling. In developed countries one person generates 1.43 – 2.08kg of waste per day, while in developing countries it is 0.30 – 1.44 kg per day. There are concerned citizens who separate their bottles and newspapers at home. There are those concerned about the pollution of the oceans. Others have global warming on their mind. After clearing the practical inconveniences regarding recycling and for a successful recycling campaign, it is important that everyone understands that every effort makes a difference in many lives.